Home » Artificial Intelligence » Artificial Intelligence, Machine Learning and Deep Learning – Why should you care? Artificial Intelligence, Machine Learning and Deep Learning. In the tech space, these terms have been used a lot and sometimes interchangeably without understanding what they mean. So what is all the fuss about? Before we get to why you should care, let us first clear up the confusion of what each is all about and how it came to be. Artificial intelligence is simply human intelligence expressed by a machine. That’s it? Well of course not, human intelligence on its own is a complex thing and replicating it is no easy task. At first, AI was manually created by humans through typing fixed commands in a program. Computer scientists quickly saw that this was limited as the artificial intelligence could only improve if they went back to the code and added new functionality. In order to achieve General artificial intelligence – one that has the same characteristics as humans, AI had to learn something and improve on its own. And so Machine learning was born in an effort to achieve that goal. Machine learning is the act of using computers to find insights in large amounts of data without telling them where exactly to look. That is very interesting, how can a computer discover something without being told where to look? A good example of machine learning is email spam detection. The software behind this is given some classifiers which will help it identify if a particular email is a spam or not e.g if an email contains the word SALE. With fixed artificial intelligence described above, this could have been a problem as the software would detect every single email that has that word as spam even though it might not be. Fortunately, the software can now learn from past data of which emails you or other users have flagged as spam and make a good decision based on that. With time, smart people discovered that this was limited in other use cases like image recognition as the software couldn’t always detect the image if one of the classifiers wasn’t easily identifiable. Deep learning then came along in an effort to make AI even better. Deep learning is modelled after how our brain works. Our brain is essentially made up of millions of neurones that process information. Likewise in deep learning, the concept of ‘neurones’ is used to learn complex patterns in data sets. For example, when identifying a cat in a picture, a deep learning algorithm will break that image into multiple squares and some will go through one layer of a neural network others through another. The groups of squares will pass through multiple layers of neural networks, be processed until the last one when a final output is given. Each neuron will give a weight of how it found the input to be correct or incorrect based on what it’s supposed to do. In the end, a collective of weights will be available that might indicate that the system found the image to be 92% a cat, 1% a dog and so on. Lastly, the neural architecture decides if it was right or wrong. So with large amounts of data, a large neural network and powerful computers, artificial intelligence can now learn better and do amazing things like recognising your best friend on Facebook. The algorithms on themselves are useless without data. Fortunately, the world we live in now is overflowing with data. From how many people purchased a certain product during a certain season to which show is viewed most on Netflix or DStv. There is data everywhere but it’s mostly not being used. This is why AI is important. It makes sense of the data and allows us to do more with it. How will artificial intelligence impact us? We are already seeing this happen, our smartphones are now getting smarter. This isn’t just about being able to install applications but it’s about how they can now help us complete certain tasks. This is shown by the Google Home and Amazon Echo which are speakers that are equipped with digital assistants. These assistants can execute tasks simply by recognising voice commands from a user. Commands vary from simple tasks like adding a reminder to complex ones like buying an item on Amazon for you. As time goes on, the device will learn more about you and anticipate your needs. I don’t know how many companies in Zimbabwe are using machine learning to make better business decisions but if they aren’t, this should be a call to them to start investing in using their data wisely. For every action that occurs in the digital world, a footprint is left and companies can collect this data. Instead of wondering when the best time to launch a marketing campaign is and for which product, a company can leverage AI to find the hidden insights based on past data. This is a more efficient way than manually trying to understand the data yourself. Your decisions won’t be based on what you think is best but on what the data says is better. Netflix, Amazon and Facebook are some big companies that are already making customers’ experiences very personal and tailored to them. They can each recommend to you a show or product or an article respectively based on your past interactions with them. When I’m on Amazon, I usually browse tech related stuff and rarely have I ever seen the site recommending me to buy a football. E-commerce stores here should start maximising AI by doing the same thing. Imagine one day a company reaching out to you and saying ‘Hey, we just finished work on a product that is specifically designed for you’. How cool would it be to have a lotion made just for you? 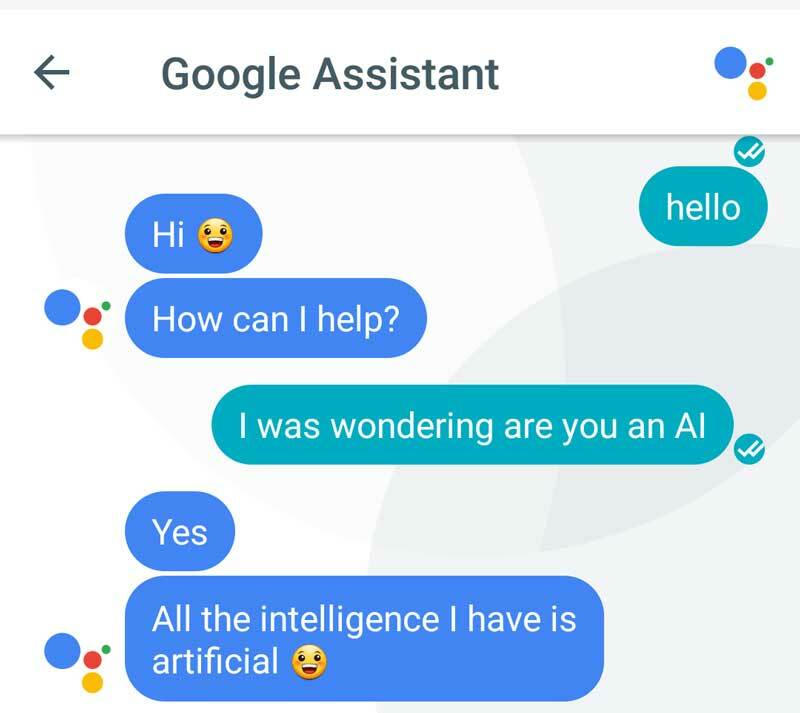 AI is already making acquiring knowledge one step easier. We have only seen the beginning of its impact on education in language translation. Learning a language just became easier because you can learn real-life conversation by talking to a bot which is powered by AI (Duolingo bots). Machines can help students solve complex problems faster and more efficient by doing some of the large calculations for them. AI will bring a strong cultural shift around the world. Currently, people are still skeptical and some even afraid of artificial intelligence. Eventually, a few individuals will learn that machines are there to collaborate with us and that group will grow. What’s more important is that machines can liberate us from doing some of the mundane tasks, giving us more room to focus on human values as we leverage the power of AI to serve humanity. We owe a large part of the ugly to movies as they have depicted artificial intelligence to be humanity’s end: Terminator. The risk is there and we’ve seen it happen in the form of Tay which was a twitter bot by Microsoft that aimed to learn how to speak to humans by speaking with humans. The bot ended up being racist and making the news in the ugliest way. So what good is there? The implementations of artificial intelligence are many e.g medical diagnosis, prediction of equipment failure, pattern and image recognition etc. To avoid the ugly, maybe we should train AI with a select set of data: just the same way we raise our children. In any case, AI is here to stay so either we start contributing to making it better instead of dismissing it away or we will stay behind until the Americans bring it to us. You can follow my journey and interact with me here: Instagram, Twitter, web developer blog and portfolio site. A well-written and informative article that brings clarity. I think the “ugly” has been partially identified by movies but the greatest ugliness comes from people actually thinking the computer is intelligent, that it is well-informed and all objective. People forget that the computer only processes what it is given and outputs its processing results. Humans select and input the data. Humans select and install the processing methods. Humans select and interpret the output. It is easy, therefore, for the computer to become the curtain behind which ill-intentioned people hide.